The Open Champion was in pole position to claim the opening men's major of the year and held a two-shot lead heading into the back nine at Augusta National, only to finish tied-fifth after two double-bogeys in his closing 74. Molinari's late stutter allowed playing partner Tiger Woods to secure a 15th major title, with the Italian now looking to bounce back at Harbour Town before taking some time to rest ahead of the PGA Championship next month. "The biggest challenge this week is to recover from last week," Molinari said. "It was a draining week, and I need to get some energies back. "You're never quite sure exactly how long it's going to take [to recover]. But, yeah, I think it was pretty straight forward for me to kind of digest last week. My concern is just having the mental energies to perform this week and to be competitive against a really strong field. "I'm going to have three weeks off after this week, so I'm going to have time at home to kind of reflect a bit more and analyse with a colder mind and just move forward going towards Bethpage." 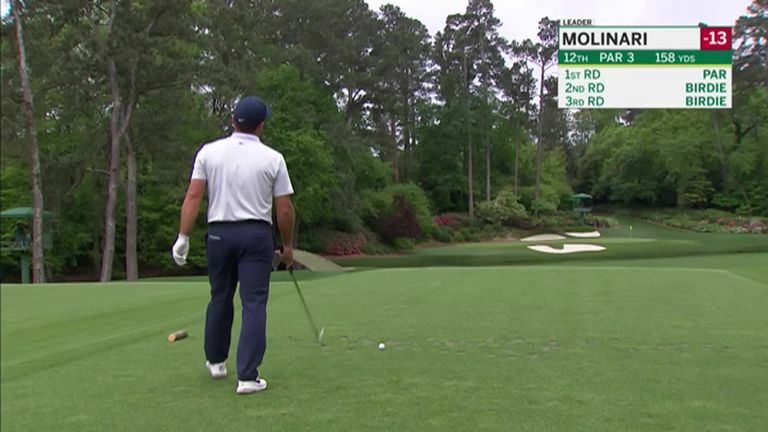 Molinari has been grouped for the first two rounds alongside Jordan Spieth and Webb Simpson, who also finished two strokes back from Woods at Augusta. It was pretty cool to see [Woods winning]," Simpson said. "I know that everyone had question marks on his health and what he's been through with injury and how far could he come back with the comeback. "I think even in his mind he said before he didn't know the future. To come from feeling that way and thinking that to winning the Masters is pretty amazing. I was happy for him. "I certainly wanted to win, but I think I put it up there as one of the coolest moments in the history of golf. You think of '86 Masters when Jack won and then Tiger in 2019. They're different, but yet very comparable to kind of how big the moment was." Watch the RBC Heritage throughout the week live on Sky Sports. Live coverage begins on Thursday with Featured Groups from 12.15pm on Sky Sports Golf and Sky Sports Main Event.